Just a couple of hours north of the sprawl of Los Angeles, Santa Barbara County has become the nexus of a stunning spectrum of wine. A sweet spot of climate, soils, geology, and geography offer a Goldilocks situation, not too much of one thing, but just right in everything. Grape varietals, many transplanted from France’s iconic regions of Burgundy, Bordeaux, and the Rhone, have found a vineyard paradise here. 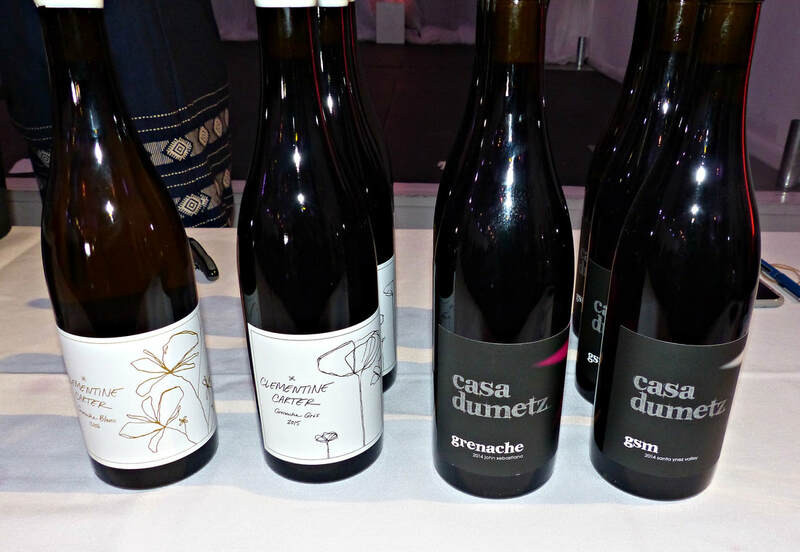 It’s a cornucopia of distinctive and small production wines, a winemaker’s dream and a wine drinker’s fantasy. What makes the region so special? 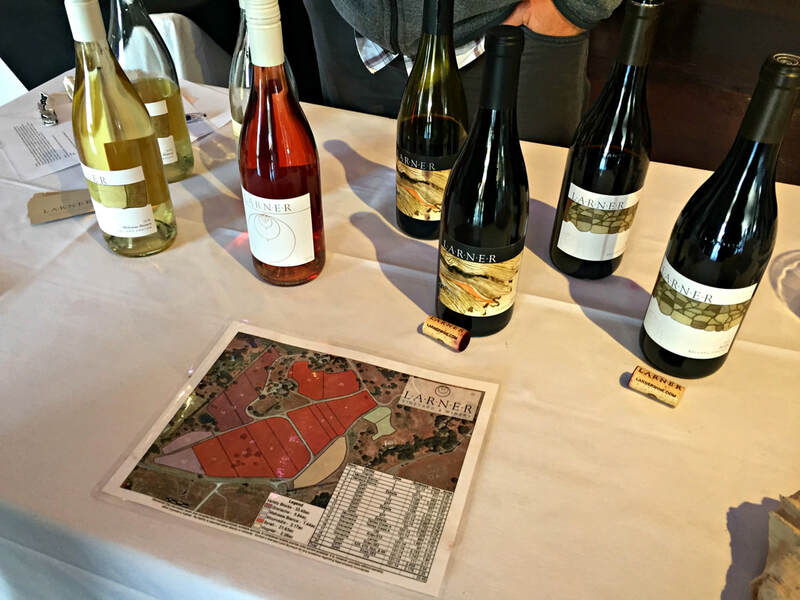 More than 50 different varietals are grown, on acreage that is half the size of Napa Valley, 200+ wineries are open for business from five approved AVAs, and the top three varieties are Chardonnay, Pinot Noir, and Syrah. And, oh, it’s an intimate wine scene, where the majority of wineries and vineyards are family owned, with relatively small production, under 10,000 cases per year. Several Santa Barbara County vintners brought their unique perspective to the city for the Santa Barbara Vintners Road Trip Los Angeles, in the spotlight for a series of winemaker dinners, in-store tastings, and a media and trade tasting event. Two seminars and a walk around tasting later, you’re blown away by the quality and diversity, with the realization that there is no place on the planet like Santa Barbara County. In the span of 30-40 miles, you can drink world-class Chardonnay and Pinot Noir, juicy Syrah and Grenache, and intriguing Bordeaux blends. 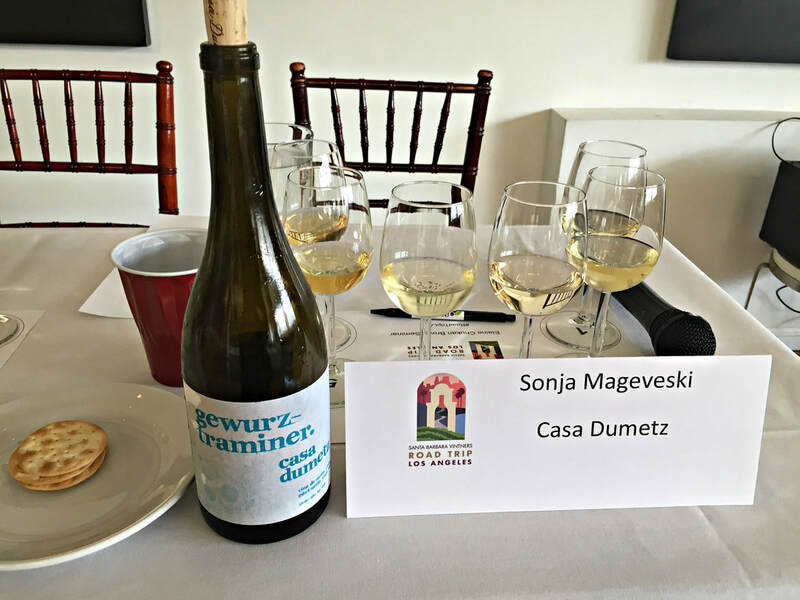 Exploring the Unexpected White Wines of Santa Barbara County, Brown noted, "White wine tends to be under-regarded, but the truth is, many of the finest wines on the planet are white wines. White wine has the capacity to bring incredible freshness, energy, and mouthwatering sapidity, in addition to ageability and longevity.” Joined by Michael Larner of Larner Vineyards, Nick De Luca of Alma Rosa, Karen Steinwachs of Buttonwood, Tara Gomez of Kitá, Bob Lindquist of Qupé, and Sonja Magdevski of Casa Dumetz, six wines were discussed and explored by the panel. Their insights have set the stage for increasing diversity and experimentation in the region. 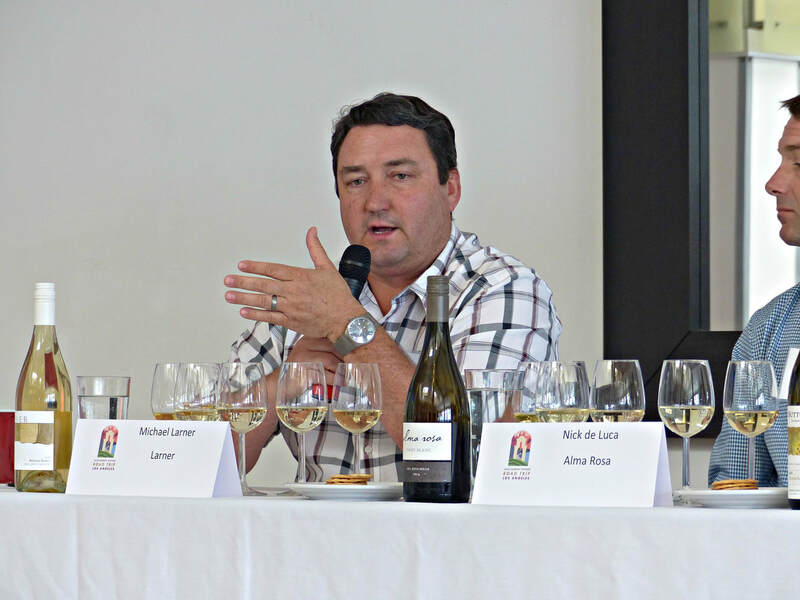 Larner explained how he came upon the idea of his unexpected white, “We looked into Malvasia Bianca when we planted our estate in 1999, with the idea of finding a grape that can do many things, and do it in a youthful, very playful style.” The 2016 Larner Estate Malvasia Bianca from Ballard County fit the bill, and intrigued Brown, who noted, “When you put the combination of stainless steel and concrete egg together, with an aromatic variety in soils that promote aromatics, you get this incredible bloom out of the glass, but you still have great tension, with floral notes, a really clean finish, with a bit of tang to it.” This wine is perfect to sip around the pool, or pair with Ceviche and Thai food. 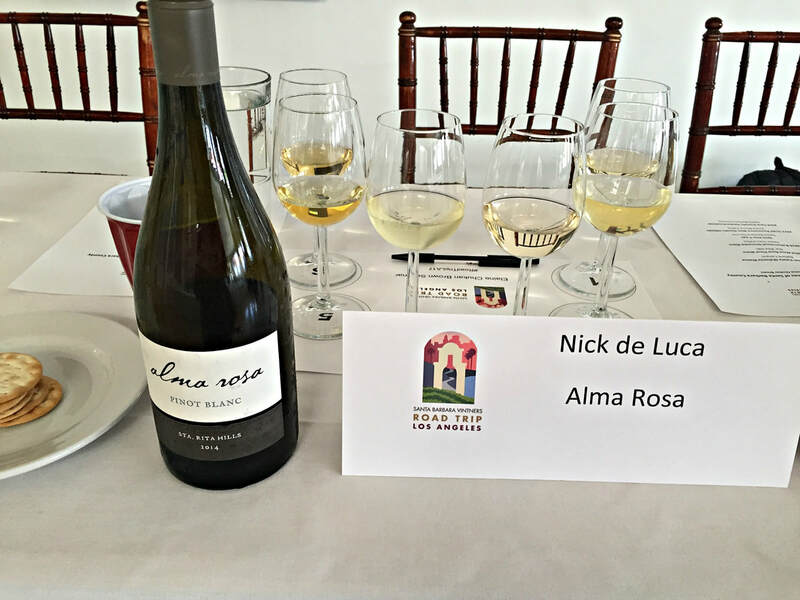 De Luca was intrigued by the salinity of wines from the Sta. 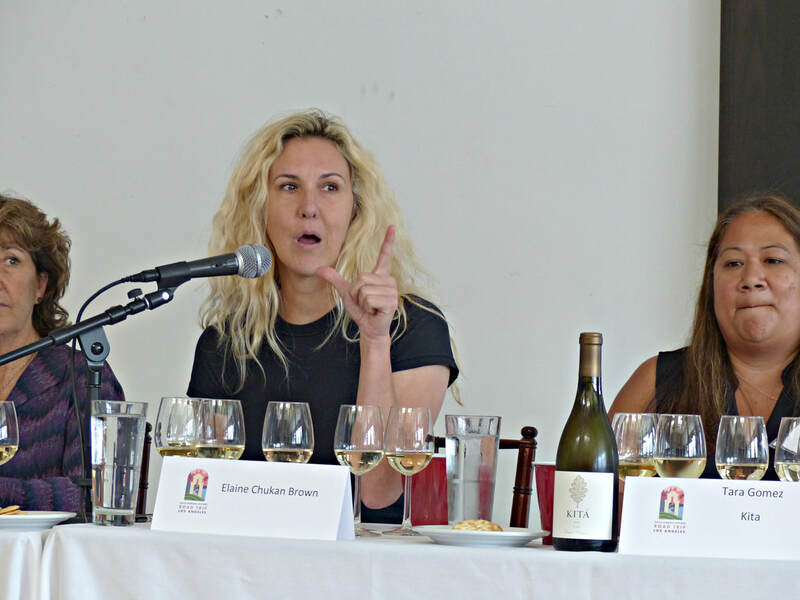 Rita Hills, “What I love about this Pinot Blanc is a saline quality that reflects the maritime climate. 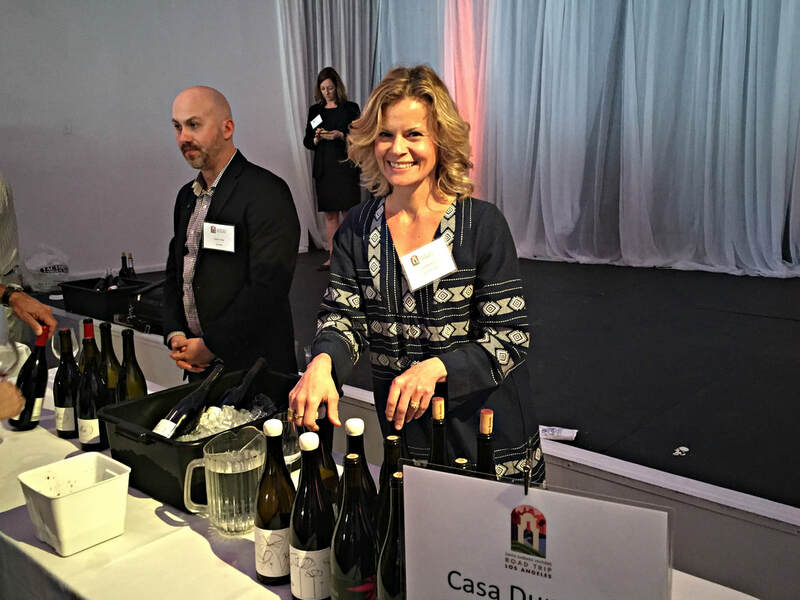 There’s a stoniness to this wine, which I attribute to the soils, the air, and hands off winemaking, just allowing the site to speak, what you’re tasting here is more than the Pinot Blanc, it’s La Encantada.” Brown compared it to France’s Alsace version, which is leaner and more locked in, “There’s a real openness to this wine that speaks to the UV exposure in Santa Barbara County, that gives profound flavor development, yet has this deep maritime oceanic quality, mouthwatering sapidity and crispness, with a mineral expression.” A great food wine, this 2014 Alma Rosa Pinot Blanc Sta. Rita Hills would pair well with oysters, seafood, white sauce pasta, and Japanese food. Steinwachs found Grenache Blanc “ a weird and wonderful grape”, gigantic clusters that need lots of clipping, and scary the first time you vinify it, turning bright neon orange during fermentation! 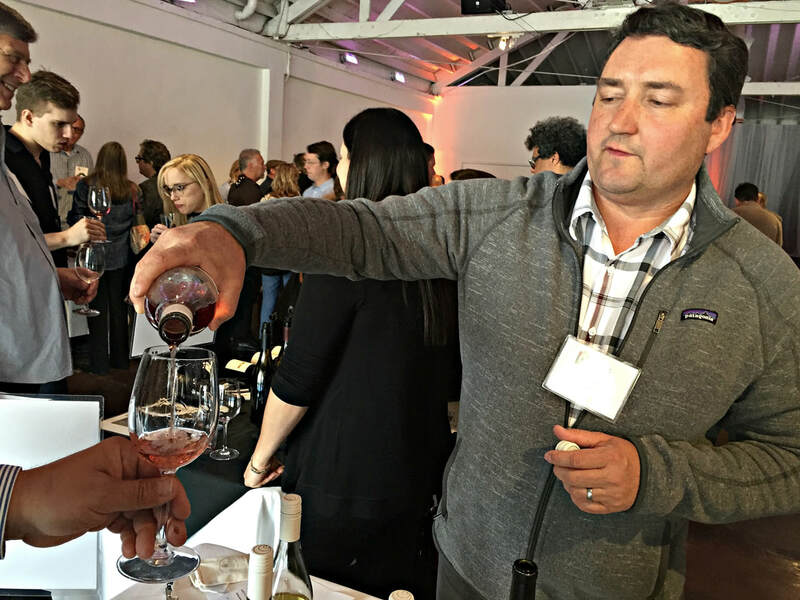 But eventually, “all the color falls out and you get this broad textural palate but not too much aromatics, white peach, candy, and white floral notes”. It’s what she called “summertime in a glass”, with it’s saline, mineral, stonefruit character, and this 100% 2016 Buttonwood Grenache Blanc is a stellar example of how expressive the grape is in the region, unfortunately it's a tiny production and not available to the general public. 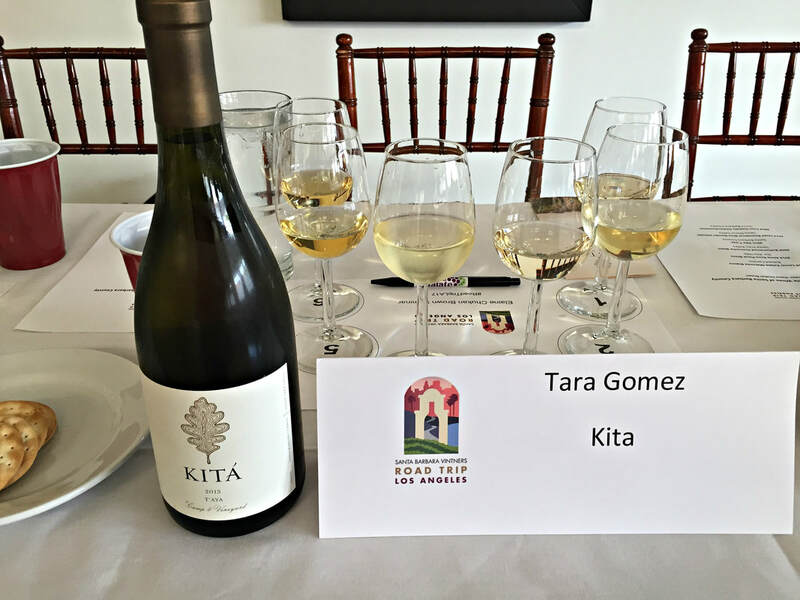 Expanding on white Rhône varietals, Gomez presented the 2015 Kitá T’aya blend, 57% Marsanne, 40% Roussanne, and 3% Grenache Blanc. Gomez discussed the power of blending, “What I really like about this blend, I love Marsanne, I feel it’s not as appreciated as a varietal. It’s a full bodied wine, it has a lot of structure to it, but where Marsanne lacks, Roussanne picks up. I think that’s why the two are widely blended together, Marsanne has the structure, Roussanne has the aromatics and acidity, and adds more to the depth to this blend. 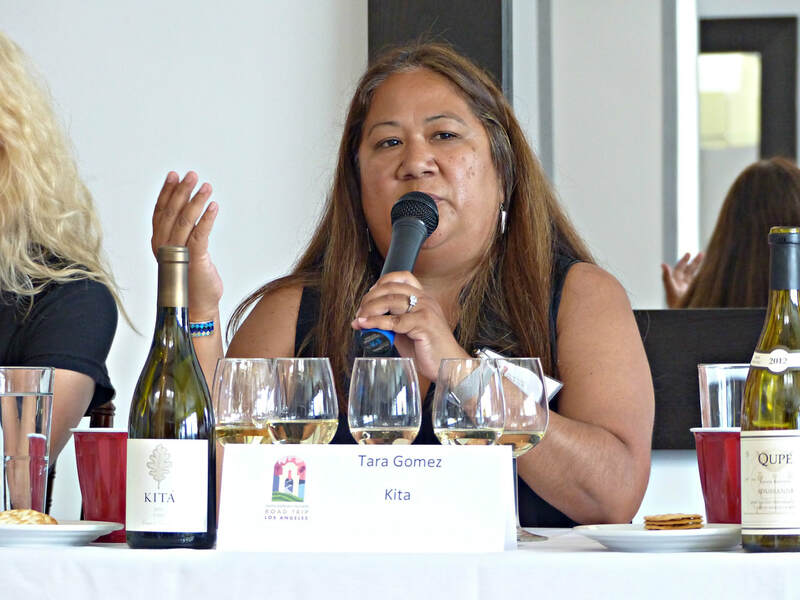 The same for Grenache Blanc, it has the floral aromatics and acidity.” Here the sum of the 2015 Kitá T'aya is greater than the individual players, it’s mineral character takes on a creamy texture, sort of a lemon yogurt note, with a hint of cantalope, and a touch of oiliness that gives it a bit of weight, rounding out the wine. 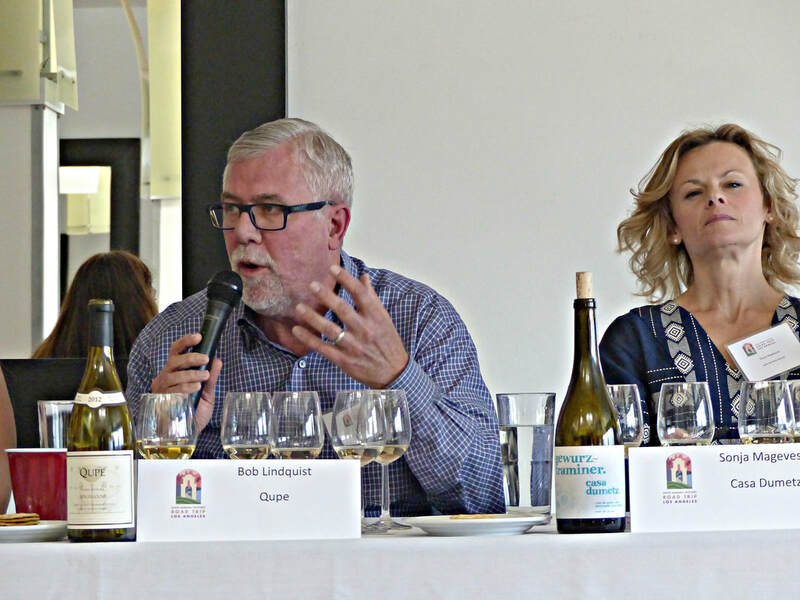 Lindquist, a proponent of Rhône varietals in Santa Barbara County for over thirty years, weighed in on the dance between Marsanne and Roussanne in a white wine blend. He noted, “Marsanne ages well, it’s a remarkable wine for the cellar, it has good balance. Roussanne ages the same way, but a little richer. 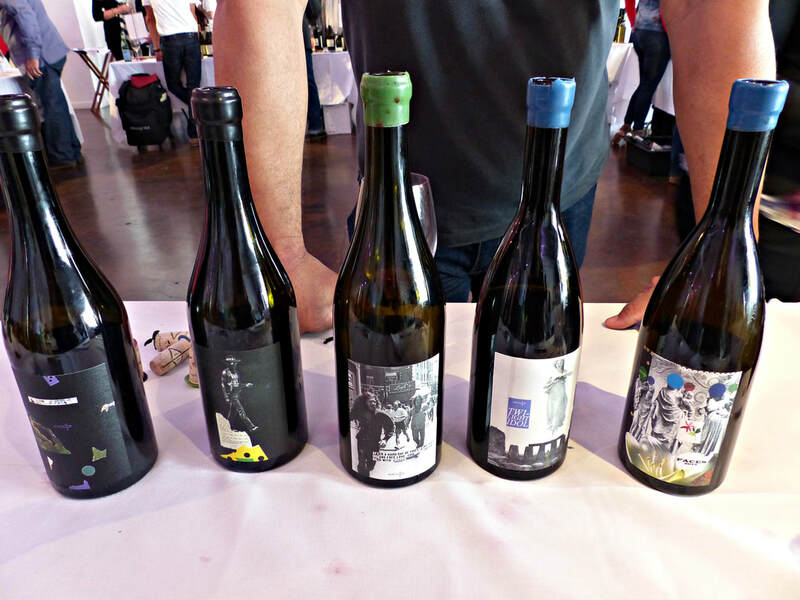 Marsanne is the bass notes, Roussanne the high notes.” Roussanne is interesting, with an evolutionary range where its youthful heady nature is interrupted after an initial bloom, going through what he called a “dumb period” where it doesn’t taste like much at all. But after ten years, it emerges lighter in color and nutty, a savory wine with lots of character. 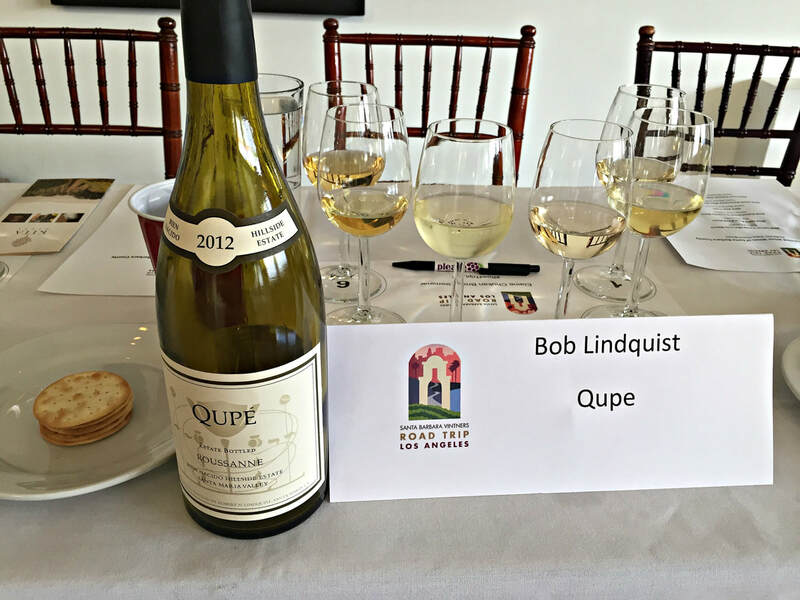 His 2012 Qupé Roussanne Bien Nacido Hillside Estate, 100% Roussanne, is rich, with yellow stone fruit and pear, a touch of honey, and exotic floral and earthy flourishes, and an oily texture on the palate. 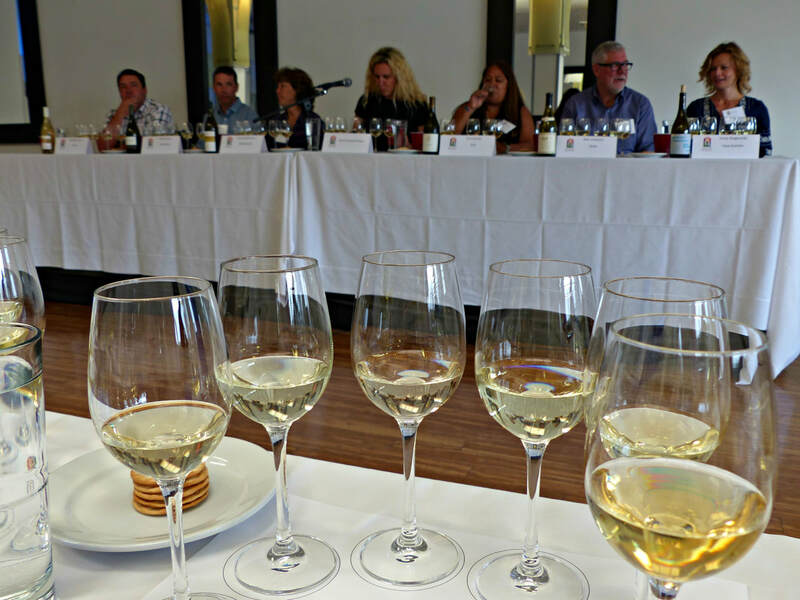 Roussanne is a great food wine, perfect with seafood, poultry or pork, in addition to stinky cheese. 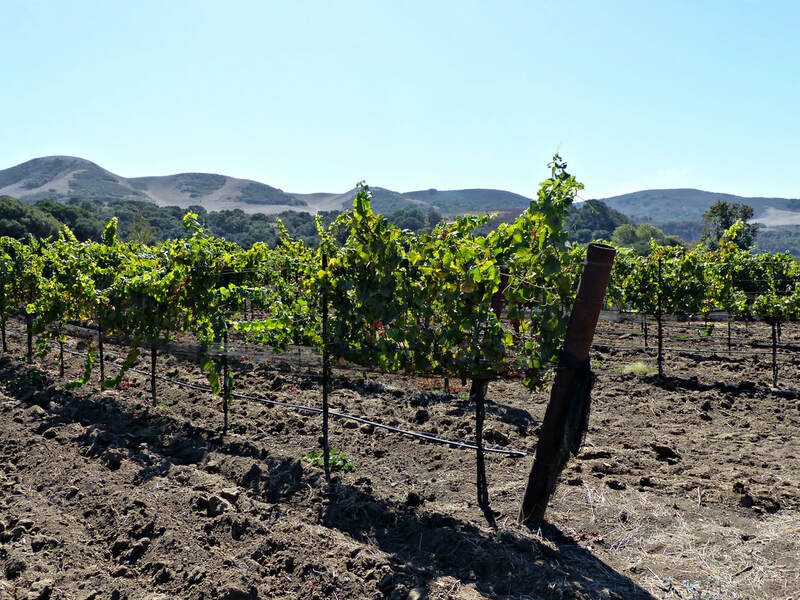 The Unexpected Red Wines of Santa Barbara County delved into the more unusual red varietals and ways of producing them. Andrew Murray of Andrew Murray Vineyards, Steve Beckmen of Beckmen Vineyards, Kristin Bryden of Zaca Mesa, Scott Sampler of The Central Coast Group Project, Tyler Thomas of Star Lane, and Louis Lucas of Toccata did their best to confound what is commonly thought of as Santa Barbara County red wines. 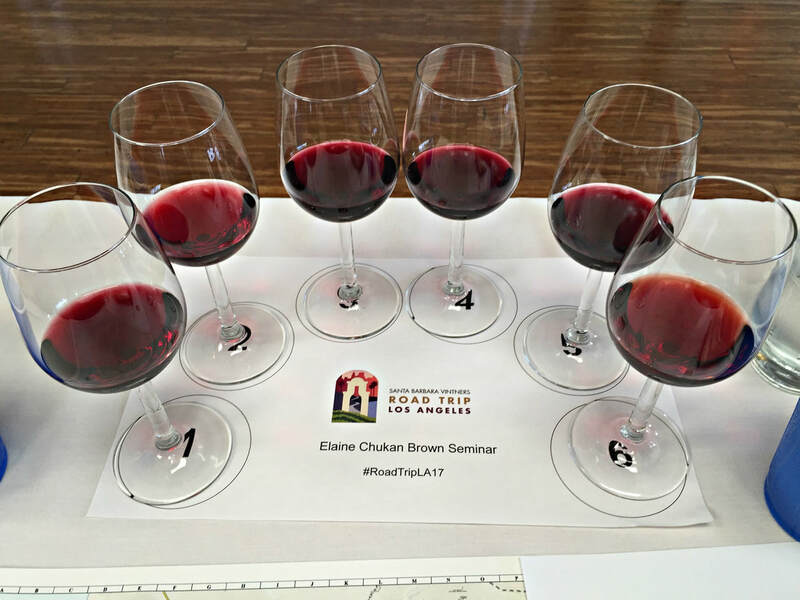 Elaine Chukan Brown declared that Santa Barbara reds were her first loves, with “an array of varietals, various styles, and deep value”. Beckmen has farmed Grenache long before it was popular, for over 20 years, he has found it “so versatile, you can do so much with it, it has this incredible texture, beautiful aromatics, bright to darker fruit and spices, the flavor profile is so interesting, along with good acidity.” Brown recognized that Beckmen “stuck it out even though the market wasn’t there”, one of the early winemakers to go all in and planted 30 acres. 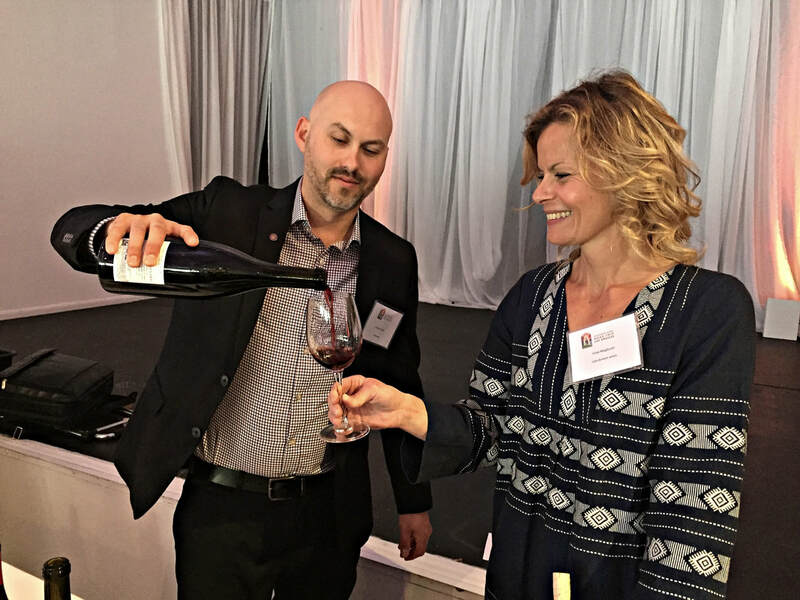 She noted that the 2015 Beckmen Vineyards Grenache Santa Ynez Valley “kind of hovers in the mouth, there’s tons of concentration, so much flavor, but it doesn’t weigh your palate down, it kind of hovers and shoots through your mouth.” With a flavor profile of pomegranate and dried berries, it’s an earthy wine with good acidity, a spice element and black pepper note. Bryden offered a peek into Mourvedre, which Brown found “an interesting variety, it comes in at the later side, and can handle a range of growing conditions, but does quite well in hotter climates.” Brown noted that Mourvedre is more fruit forward in California, but still has that distinctive meaty, gamey quality where Bryden observed “when we pick earlier, we get more red fruit tones, and an excellent perfume note, with more tannin structure.” The 2013 Zaca Mesa Mourvedre is more on the perfumey side, which, according to Bryden, “depends on the season”. Brown found a “mountain floral element, a wild mountain, growing in rocks, tiny little blossoms scent to it” alongside a richness to the wine. Sampler really thinks outside the box, he distinguished himself with a Syrah that tested the limits of extended maceration, 101 days to be exact. 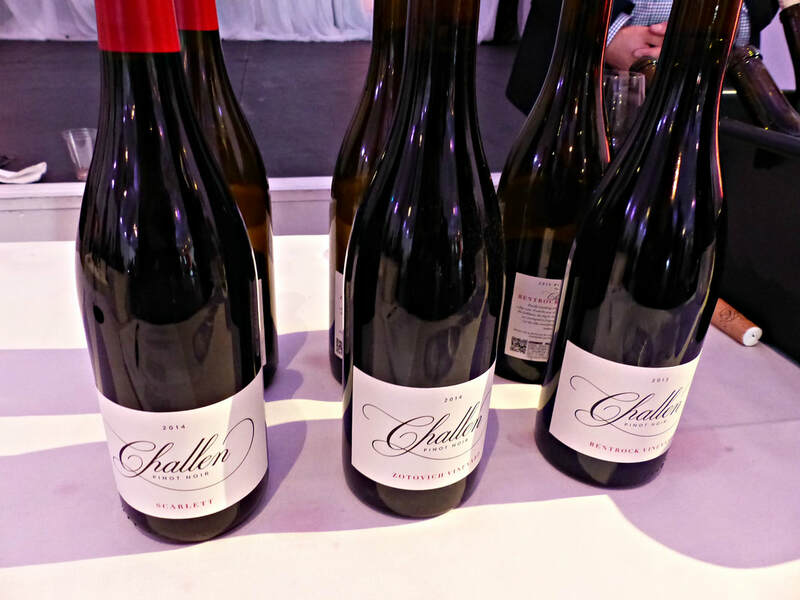 He credited Steve Clifton with the inspiration for this style of winemaking, and it sparked a discussion on maceration times. Brown explained, “Winemakers can choose what kind of wine they want to make, because of the long slow growing season. It’s really easy to learn to make wine a certain way, but in reality the range of choices in the cellar and the various ways that can play out over time, in any particular vintage, is unmeasurable.” Since Sampler makes his wines by palate, “each vintage turns out differently”. Brown found lots of interest in the 2013 Central Coast Group Project Syrah, “This is not a typical Syrah, there is fantastic mouthfeel, an interesting chalkiness that pops up the back that I really appreciate, and so much concentration, it’s still alive, that’s a surprise.” With dark cherry and black tea notes, it’s a dense wine that can pair with game meats, lamb, and duck. Thomas has a passion for Cabernet Franc, and when he first came to Santa Barbara County, he saw the potential in Happy Canyon to make a straight Cab Franc wine. 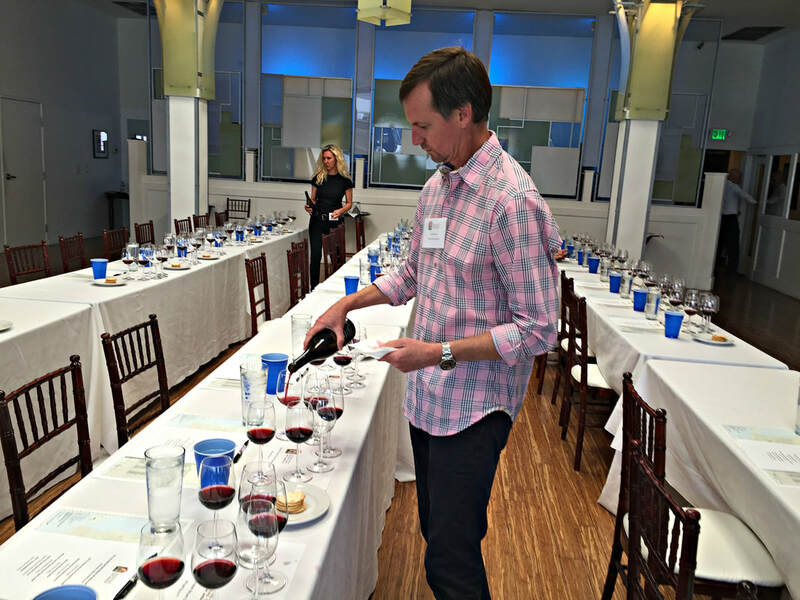 He observed, “Cabernet Franc has a beautiful floral, fresh herb, bell pepper profile, we’re trying to embrace that and accentuate it.” He regrets blending in as much Cabernet Sauvignon into the 2013 Star Lane Cabernet Franc as he did, since he felt it overwhelmed the wine. Brown thought it was an interesting combination of supple yet firm tannins, “correctly herbal and not overly vegetal, a bit of black olive, with the texture of molé.” It’s a work in progress, but the red fruit and fresh tobacco notes were appealing. Lucas, one of the first commercial grape growers in the region, detailed his 20 year experiment with Nebbiolo. He found it to be “the ultimate challenge”, a very difficult grape to grow and ripen properly. Although frustrating for a winegrower, Nebbiolo has one of the largest spectrums of both aromas and flavors, everything from tar to roses, and the Italian versions are often considered the Holy Grail for this varietal. Brown felt that “there’s so much we don’t know about what California does well, Nebbiolo needs a lot of vine age, we have been getting successful examples from people who are willing to wait on young vines, in fact UC Davis is now recommending it as one of the varieties that can grow well here in the state.” Lucas was not sure if he will continue with Nebbiolo, but the 2011 Toccata Nebbiolo displayed cherry and plum fruit, spice, dried berry and earth. 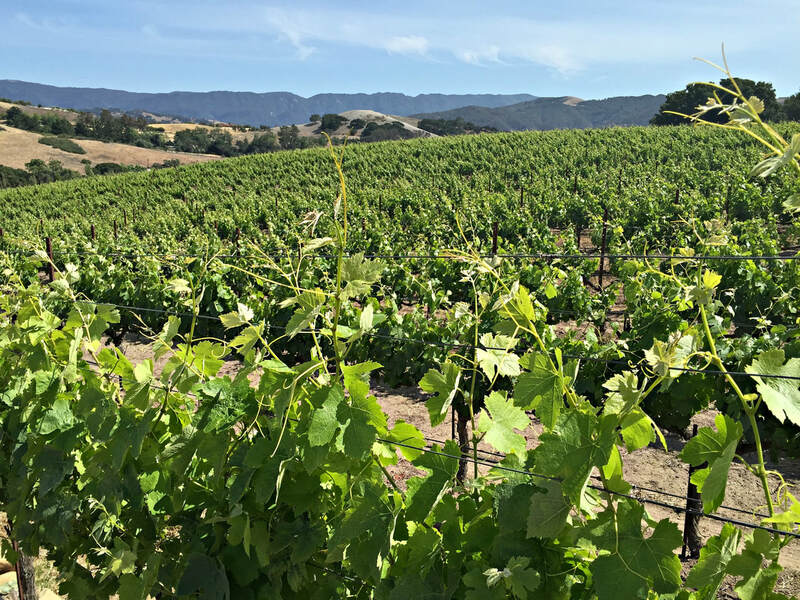 What stood out most is that we, as wine drinkers, need to make more road trips to Santa Barbara County wineries, and taste the differences for ourselves, to really identify the nuances of the vineyards, the clones, and the appellations. And, of course, everyone will have their favorite style, but there is beauty in diversity, all of these wines have a place at the table. How incredibly lucky we Angelenos are, that this wealth of wine is literally in our backyard, a mere two hour journey for some of the best wines in the world.